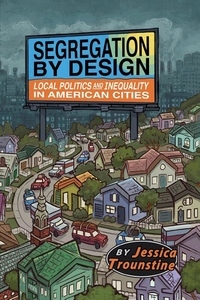 Segregation by Design draws on more than 100 years of quantitative and qualitative data from thousands of American cities to explore how local governments generate race and class segregation. Starting in the early twentieth century, cities have used their power of land use control to determine the location and availability of housing, amenities (such as parks), and negative land uses (such as garbage dumps). The result has been segregation - first within cities and more recently between them. Documenting changing patterns of segregation and their political mechanisms, Trounstine argues that city governments have pursued these policies to enhance the wealth and resources of white property owners at the expense of people of color and the poor. Contrary to leading theories of urban politics, local democracy has not functioned to represent all residents. The result is unequal access to fundamental local services - from schools, to safe neighborhoods, to clean water.